You’re Invited: Come get the scoop at our 1st Annual Fall Car Event on Thursday, September 3, from 11am-2pm! 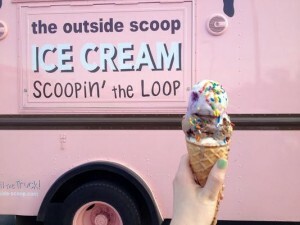 Enjoy a scoop of free ice cream from The Outside Scoop and browse vehicles on our front lawn. *Kelley Blue Book Trade-In Values used by Enterprise are obtained from © 2014 Kelley Blue Book Co.’s website KBB.com. Kelley Blue Book Trade-In Value is based on accurate condition rating and mileage of vehicle. Accurately appraising the condition of the vehicle is an important aspect of determining its Kelley Blue Book Trade-In Value. If a Kelley Blue Book Trade-In Value is not available for customer’s vehicle, Enterprise will provide a fair and competitive value for customer’s vehicle. Customer is responsible to any extent vehicle pay-off exceeds Enterprise offer. Customer must provide required proof of ownership/registration and all other necessary paperwork to transfer title. Restrictions apply. For details, see an Enterprise Car Sales Manager.